It’s fun to chat with Frank Bretschneider – about musical concepts, generated wave formats, abstractions, ideas and all the nonsense that comes up when talking about music. It’s also fun to just sit there with him, having a cigarette and a couple of drinks. And it’s both of these things contributing to his art, which always has a special groove, no matter how elaborate its concept. This is true not only for his early productions for Mille Plateaux, but also for his publications on Raster-Noton (since 1996, Frank aka Komet has been releasing stuff on Rastermusic – the preceding label he founded with Olaf Bender). Frank Bretschneider is just a funky guy. His new album for Shitkatapult is completely dedicated to the flow. Seven tracks, which have been recorded and arranged live at the studio. Seven tracks with an enormous depth and passion and love for detail on a straight beat, manifesting their own version of club music. 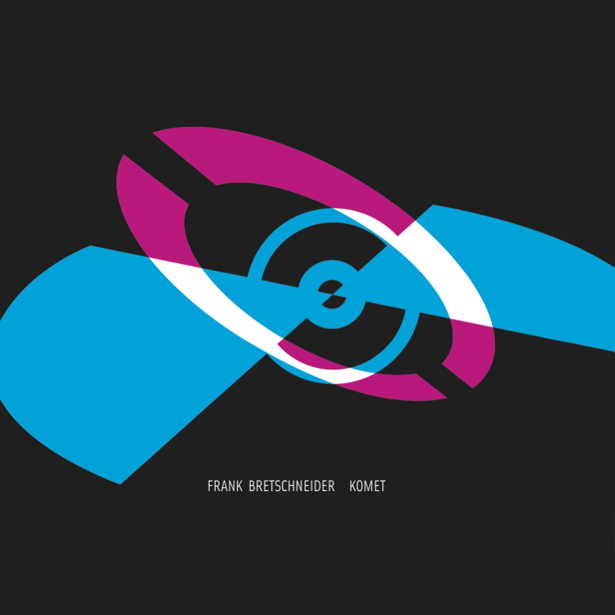 Basically, Komet is a techno record, but it has been transported into Bretschneider’s cosmos. Komet exudes a light and feathery flow, neither pushy nor notchy. It wins you over with its groove, while cheeping, fluttering and whooshing at the same time. An album of action, worlds apart from all the painful worries about referencing and zeitgeist. Free music. Shitkatapult manages to show how passionate a label can treat electronic music. Komet is another one of these albums, fitting into the circle of favourite producers like Soul Center, Fenin, Tom Thiel and into the label’s history of uncompromising records by Sun Electric, Apparat, T.Raumschmiere and many more.